In a recent essay, I introduced a working definition for the emerging paradigm of Yankwik Mexikayotl (link), and, in that essay, I mentioned the term “indigeneity” without adequately defining it. My intention was to thoroughly explain the term at a later date, but some comments on that essay’s post prompted me to address it now. The following, then, is an attempt to define the term “indigeneity,” a task which proved to be somewhat difficult and one that exposed a major problem with the term itself. …‘indigeneity’ is the combination of the words indigenous and identity – hence, indigeneity. Seems obvious enough, what else is there to say about it? Well, what is indigenous identity? Who defines it; a government, a group of people, an authoritative individual? This term is a little harder to apply because of the long settler-colonial legacy of denying indigenous people their Native ethnicity in North America, particularly in the United States with its blood quantum policies. For our purposes here, we will say that ‘indigeneity’ is an indigenous identity particular to an individual who sees him/herself as belonging to a specific group with roots dating prior to the so-called “great encounter” of 1492. That is an extremely wide net that encompasses a diverse array of peoples, cultures, and societies stretching the northern and southern American continents. Additionally, I stated that: “…‘indigeneity’ is very distinct, and…that it only applies to those groups or individuals who actively seek it. It is not a default position for everyone.” Although there is merit to my statements, they are not entirely correct. For starters, I have not been able to confirm that indigeneity is derived, as I previously thought, from “the combination of the words indigenous and identity.” In my defense, I cannot be completely faulted for my assumptions, especially considering that the term’s etymology is shrouded in mystery and a concise straightforward definition is virtually nonexistent. Although, after careful examination of the scholarship, I am not so sure my definition is completely off-base, especially bearing in mind that many scholars use the term in relation to “indigenous identity.” Nonetheless, I hope that this short essay gets us closer to a better understanding of this ambiguously defined term. We will begin our endeavor by carefully asking a simple question; where exactly does the word “indigeneity” come from? The first thing that struck me while conducting the research to answer that question is that the definition and provenance of the term “indigeneity” is very difficult to trace. A quick search in the online Oxford English Dictionary (OED) returns that there are “No dictionary entries found for ‘indigeneity.’” The U.S. version of the OED lists “indigeneity” simply as the noun version of the adjective “indigenous” which is defined as: “Originating or occurring naturally in a particular place; native.” Moreover, the term indigenous is actually a variant of the much older French term dating to the sixteenth-century – “indigene,” which basically means “native” (adjective) and “a native” (noun). So in effect, Waldron is saying that “aboriginality” is synonymous with “indigeneity;” therefore it follows that, if aboriginality is the “quality of being aboriginal,” then indigeneity can be defined as “the quality of being indigenous,” which itself describes the quality of being born or produced naturally in a land or region. Furthermore, I must point out that none of the terms heretofore mentioned should be confused with another term that routinely gets tossed around, “Indianness,” which means “The fact, quality, or state of being American Indian.” Let me explain why. Since the origin of the term indigeneity is unknown, it is difficult to surmise which one came first; it or Indianness, but it should be apparent why they are not completely synonymous. “Indigeneity” clearly is applicable to any indigenous group of people around the world, while “Indianness” —for obvious reasons— refers strictly to indigenous peoples of the western hemisphere. Navigating all of these terms can be confusing, especially when the one in question has not been officially defined in the dictionary. It is useful, however, to know what each of these terms mean, how they agree and differ, and which one works best for any given context. Before continuing, I must note that the term indigeneity is strongly associated with a study on indigenous peoples conducted by the United Nations (UN). The UN’s Special Rapporteur of the Sub-Commission on Prevention of Discrimination and Protection of Minorities, Jose R. Martinez Cobo, was appointed to research the plight of indigenous people worldwide; his efforts led to the production of a special report entitled, “Study on the Problem of Discrimination against Indigenous Populations,” (originally drafted in 1972 and completed in 1986/7). Also known as the “Martínez Cobo Study,” this was the UN’s first major step in the incorporation of indigenous rights to their international charter. The report has been useful for both indigenous peoples and nation-states in addressing and resolving issues, and scholars have used it as a cornerstone in the study of indigeneity and decolonization. As important as the Martínez Cobo Study was (and continues to be), it is imperative to note that the term “indigeneity” does not appear in it at all, which begs the question; why have scholars associated the term with the study? The original definition was accepted in 1972 by the UN Working Group for Indigenous Peoples, but was considered too restrictive and was later amended to what follows in 1983. Indigenous populations are composed of the existing descendants of the peoples who inhabited the present territory of a country wholly or partially at the time when persons of a different culture or ethnic origin arrived there from other parts of the world, overcame them, by conquest, settlement or other means, reduced them to a non-dominant or colonial condition; who today live more in conformity with their particular social, economic and cultural customs and traditions than with the institutions of the country of which they now form part, under a state structure which incorporates mainly national, social and cultural characteristics of other segments of the population which are predominant. any individual who identified himself or herself as indigenous and was accepted by the group or the community as one of its members was to be regarded as an indigenous person (E/CN.4/Sub.2/1986/7/Add.4.para.381). both tribal peoples whose social, cultural and economic conditions distinguish them from other sections of the national community and whose status is regulated wholly or partially by their own customs or traditions or by special laws or regulations, and to peoples who are regarded as indigenous on account of their descent from the populations which inhabit the country at the time of conquest or colonisation. In 1991, the World Bank adopted the following definition of indigeneity. a) close attachment to ancestral territories and to the natural resources in these areas; b) self-identification and identification by others as members of a distinct cultural group; c) an indigenous language, often different from the national language; d) presence of customary social and political institutions; and e) primarily subsistence-oriented production. These are all useful definitions from which an argument in favor of Mexikah indigeneity can be constructed, a serious topic for another day. Today, the focus is the definition of the term itself and how academics have conflated the terms. As previously mentioned, I italicized McGuinne’s comments to distinguish them from those of the GO’s he quotes. If you notice, the word “indigeneity” does not appear in the text he quoted. In effect, the only terms actually used in the Martínez Cobo Study are “indigenous,” “aboriginal,” and the occasional “Indian” for good measure. Other than the title, the only time the term “indigeneity” arises in McGuinne’s post is in his comment on the World Bank’s addendum to the UN’s position about indigenous people. Furthermore, when he states that “The original definition was accepted in 1972,” he is clearly referring to the phrase “indigenous populations” and not to indigeneity itself. Another example comes from Manjusha S. Nair’s essay, “Defining Indigeneity: Situating Transnational Knowledge.” There she states that “the UN conception of indigeneity is linked to territoriality, a primeval quality of defense of territories against others of the same species;” and that “The Oxford English Dictionary (second edition, 1989) defines ‘indigenity’ as the quality of being indigenous, or indigenousness.” This definition is very similar to that of “aboriginality” and the one I offered for “indigeneity” above. Although Nair gets us closer to defining “indigeneity” by showing us that it means the same as the archaic words “indigenity” and “indigenousness,” she also frustratingly uses the terms “indigenous” and “indigeneity” interchangeably without explaining the latter. Waldron looks at indigeneity from the perspective of New Zealand and the Maori people as it pertains to multiculturalism, land rights, and the significance of calling anyone—group or individual—indigenous. Although, Waldron admits that he is not interested in the terms’ etymology, only its “abstract concept,” he does not really provide a concrete definition that describes the abstraction he seeks to interpret. Instead, he introduces a series of questions that ponder the significance and usefulness of singling out groups as indigenous. I will not get into the substance of his argument here, but I think he is correct in saying that the term “indigeneity” represents an abstract concept. It is too bad Waldron does not expand on what he means by “abstract,” but in my opinion, I think it is much like the abstract concept of “beauty” and its qualities; my position is that, by definition, indigeneity is an abstract idea that rests on the idea of “quality” and inherent notions of being. Unfortunately, the lack of any definitional uniformity in the scholarship only adds to the term’s continued ambivalence. In the thirty-year history of indigenous issues at the United Nations, and the longer history in the ILO on this question, considerable thinking and debate have been devoted to the question of definition of “indigenous peoples”, but no such definition has ever been adopted by any UN-system body. The paper further states that, “One of the most cited descriptions of the concept of the indigenous was given by Jose R. Martinez Cobo,” in his famous report. As with the Martínez Cobo Study, the term indigeneity is also not found anywhere in this document. The UN, like most GOs, treats indigenous issues with caution, and leaving the definition open-ended is part of this policy of keeping terms undefined. Perhaps the larger issue is that nation-states have a problem accepting, let alone agreeing on, who can and cannot be labeled as indigenous. Thus, the ambivalence creates a circular pattern of indeterminacy as the various agents-of-power play hot-potato with the legal standing of ethnic minorities and colonized subjects. But if you think that legal indeterminacy is bad, at least the UN has left the question of “indigeneity” open-ended for further adaptation. In contrast, some academics have taken the term “indigeneity” and made it so restrictive to the point of exclusion of groups they deem unworthy of indigenous identity. Take for example the comment posted on the definitional essay of Yankwik Mexikayotl that was mentioned at the beginning. The commenter stated that they attended a conference where, after asking some of the presenters “if their research led them to consult with local circles that are practicing indigenous philosophy and traditions, building indigenous-grounded networks of families and community;” they were told that, “they (referring to the danza community) are not considered indigenous or qualify to claim ‘indigeneity’ as an identity because ‘what they are doing is more, only, recovery of some aspects of the culture, not truly indigenous.’” If I was not already familiar with this kind of response from pretentious academics, I would be genuinely shocked by this blatantly flippant stance. 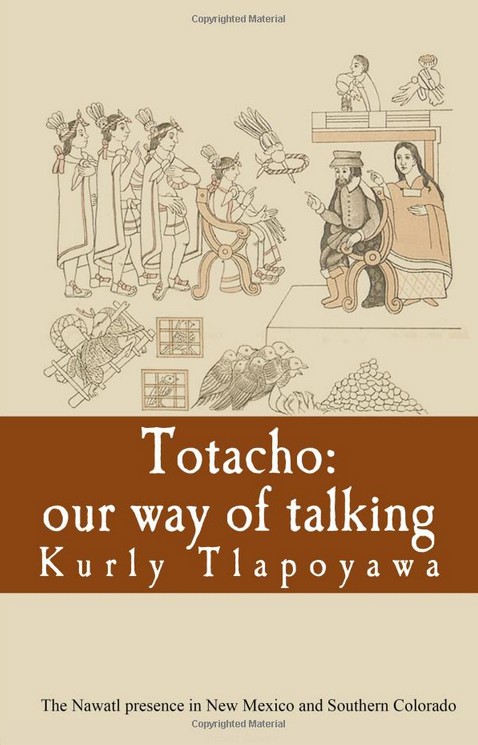 …explore the internal conflicts and paradoxes of Chicana and Chicano indigenism. I argue that in questioning the very essentialist notions of Chicanos and Chicanas as indigenous people, there exists the potential for a new understanding of indigenist practices, a kind of decolonial indigenism. Alberto basically questions what she perceives as the problematic notion that Chicanas/os are indigenous and equates it with the colonialist cultural theory of “indigenism.” My reading of her essay leads me to conclude that her position is rooted in the assumption that Chicanas/os cannot be indigenous, because they do not fit the tired stereotype of the quaint, remote, and static (backward) community she probably has in mind. Moreover, this view stems from her adherence to the worn-out analytical frameworks of “mestizo” and “indigenismo” which belong in the last century. In effect, Alberto essentializes the very same people she complains are engaged in cultural colonization. I wonder if she has ever spent a significant amount of time engaged with the people she is extremely critical of, because her gross generalizations are caricatures of the actual Chicana/o indigenous experience I have witnessed and experienced firsthand. …constitute those inhabitants who encountered Europeans for the first time 500 years ago, along with their descendants, who, in large parts of the Indigenous world, but specifically the Americas, retained by and large their own languages, intellectual sovereignties, chorographic perceptions of biomass, notions of sacred cosmicentricity—nature cultures—a diachronic sense of place/space also called homelands, and an experience of metadeath so privileged in healing practices. This definition of “indigenous people” borrows from the UNs in all but one characteristic, the addition of an extra cultural feature—that of “an experience of metadeath” associated with “healing practices.” Herein is yet another word not found in the dictionary, “metadeath,” but we can surmise its meaning by its etymology; “meta” denotes “change, transformation, permutation, or substitution,” and death, well, you get the point. So, in other words, not only does an individual have to be descended from indigenous people and meet all of the standard qualifications on the checklist (territoriality, language, descent, etc), the definition above insists that indigenous identity also rests on the belief in the supernatural and a spiritual view of the cosmos. If we take these scholars seriously, then there a few Native Americans I can think of (including famous ones) that would be deemed not indigenous enough because of their non-belief in the supernatural and/or their so-called “Westernized ways.” This ridiculous notion that an indigenous person must be rooted in magical thinking is echoed in several of the essays in the same volume by Delgado and Childs, including some by actual indigenous scholars themselves! How is this position any different from the US policy of blood-quantum? Instead of using degrees of blood, here you are being judged on how superstitious you are! Not only is this exclusionary and discriminatory, but it harkens back to the “timeless Indian” stereotype where to be indigenous means that you are stuck in a static pre-industrial past. So who is essentializing whom? To be clear, I am not suggesting that belief in the supernatural/metaphysical is necessarily a bad thing that needs discarding—I am in no position to make such a claim, nor am I making it here. On the contrary, I happen to be an active participant of ceremony, but I am of the opinion that attaching supernatural and metaphysical attributes to the rituals I engage in and the experiences that flow from them is unnecessary. This is a separate topic altogether, and to each his own. My point is that the restrictive definitions by the authors in this volume are highly problematic and carry potential slippery-slope implications. That said, I leave this sensitive topic here and resume addressing the ambivalence of indigeneity. Unfortunately, Roach and Eagan do not provide a definition of their own either, so, once again, we are left to determine what they mean by “indigeneity construct.” As with virtually all of the sources I consulted for this essay, the basic definition of indigeneity is derived from its conflation with that of “indigenous peoples,” and I have already explained why this is incorrect. Thus, in lieu of a standard definition, I propose that “indigeneity” be defined as: the state or quality inherent to an indigenous group—or individual, that exemplifies their position as an original people who inhabit and were born, or produced naturally, in a given land or region, including their descendants and relations thereof. Not to sound equivocal myself, I posit this as a working definition and should not be taken as a definitive stance. Absolute definitions are usually arrived at over time and through consensus, and the absence of an agreed upon definition certainly speaks to a lack thereof. The definition offered here at least moves away from the confusing tendencies exposed in this essay; in particular that of conflating the adjective “indigenous”—which describes the nature of the group in question, and the noun “indigeneity”—the group’s nature itself. In addition, because “indigeneity” describes the quality of being indigenous, we can safely say that it is more or less synonymous with “indigenous identity;” hence, the term indigeneity can be used to describe the identity of a person who is indigenous, as I have posited in the past. In sum, this essay set out to define the term “indigeneity,” and in the process, we learned that it has not been properly defined anywhere and that it exists mainly in academic discourse. We also learned that scholars, both indigenous and non-indigenous, have used the term in very restrictive ways in order to confirm their biases about indigenous people and exclude those not considered sufficiently indigenous by the stringent definitions they advanced. And finally, because a standard definition is verily non-existent, an open-ended one has been carefully formulated and offered here. The next step is to counter the academic penchant to dismiss danzantes Mexicas/tradicionales and modern Mexikameh as mere “mestizos” with no claims to indigeneity. I suggest using sources like the Martínez Cobo Study and the seminal essay on the “mestizo identity” by the late and influential Native American scholar, Jack D. Forbes, to challenge the vapid and exclusionary positions held by stuffy, condescending academics and to present a thoughtful and convincing case in support of Chicana/o-Mexikah indigeneity. Tlakatekatl, “A New Mexikayotl: It’s Time To Purge The Nonsense!,” Mexika Resistance, July 18, 2014, http://mexikaresistance.com/2014/07/18/a-new-mexikayotl-its-time-to-purge-the-nonsense/. OED Online (Oxford University Press), accessed August 12, 2014, http://www.oed.com. “Indigenous,” Oxford Dictionary (American English) (US), August 11, 2014, http://www.oxforddictionaries.com/us/definition/american_english/indigenous?q=indigeneity#indigenous__6. Jeremy Waldron, “Indigeneity? First Peoples and Last Occupancy,” New Zealand Journal of Public and International Law 1 (2003): 57. “Indianness, N.,” OED Online (Oxford University Press), accessed August 12, 2014, http://www.oed.com. Ibid. “Indianness” has a secondary definition without the adjective “American” that refers to people from the Indian subcontinent; “The fact, quality, or state of being Indian.” The obvious reason is, of course, Christopher Columbus’s historical blunder of calling the inhabitants of the Western Hemisphere indios, or Indians. José R Martínez Cobo, “Study of the Problem of Discrimination against Indigenous Populations” (UN Commission on Human Rights, 1986), http://undesadspd.org/IndigenousPeoples/LibraryDocuments/Mart%C3%ADnezCoboStudy.aspx. I will not analyze the Martínez Cobo Study here, but those interested in international law as it pertains to indigenous people can follow the link cited above. Johan S. McGuinne, “Official Definitions of Indigeneity,” Indigeneity, Language and Authenticity, accessed August 13, 2014, http://johansandbergmcguinne.wordpress.com/official-definitions-of-indigeneity/. 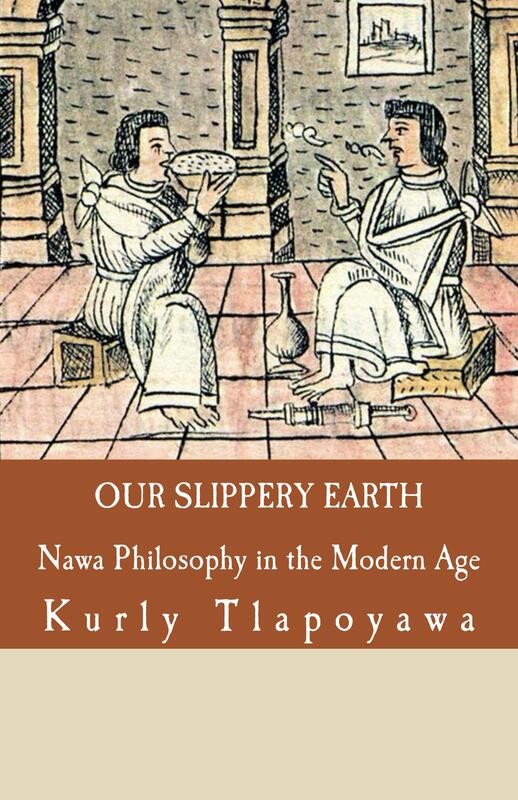 Manjusha S. Nair, “Defining Indigeneity: Situating Transnational Knowledge,” World Society Focus Papers (Zurich: World Society Foundation, 2006). Department of Economic and Social Affairs, “Workshop on Data Collection and Disaggregation for Indigenous Peoples | UN Doc. E/CN.4/Sub.2/1986/7” (United Nations, 2004), http://www.scribd.com/doc/236735001/Study-on-the-Problem-of-Discrimination-against-Indigenous-Populations-Workshop-Data-Background-UN-Doc-E-CN-4-Sub-2-1986-7. For example see: Francesca Merlan, “Indigeneity: Global and Local,” Current Anthropology 50, no. 3 (June 1, 2009): 303–33; Mathias Guenther et al., “Discussion: The Concept of Indigeneity,” Social Anthropology 14, no. 1 (February 1, 2006): 17–32. Department of Economic and Social Affairs, “Workshop on Data Collection and Disaggregation,” 1. Here, the phrase “agents-of-power” is used to denote any group or organization with the ability to influence, dominate, subdue , or control another; I’ve used this definition in the past to describe police departments, but it also applies to state agencies – GOs and NGOs, militaries, paramilitaries, religious organizations, etc. Tlakatekatl, “A New Mexikayotl,” Comments section. 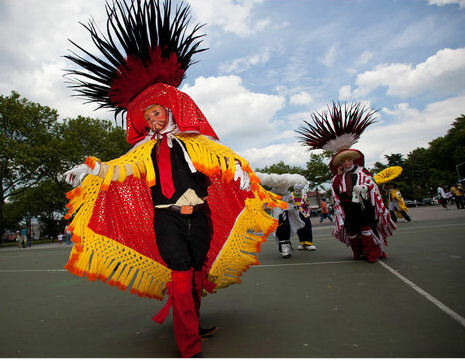 The “danza community” refers to what are commonly called “Aztec dancers;” they are also known as danzantes Mexicas, or tradicionales. Plus, there are the Concheros, from whom the others stem. All of these groups are not considered “true” indigenous peoples by either academics or governmental organizations (GOs). “Imagining Latina/o Studies: Past, Present, & Future,” Latina/o Studies Conference, (Chicago, July 17-19, 2014), http://www.latinostudiesconference.com/home.html (accessed August 18, 2014). Lourdes Alberto, “Topographies of Indigenism: Mexico, Decolonial Indigenism, and the Chicana Transnational Subject in Ana Castillo’s Mixquiahuala Letters,” in Comparative Indigeneities of the Américas: Toward a Hemispheric Approach (Tucson: University of Arizona Press, 2012). “Essentialize” comes from “essentialist theory” which is Basically an academic way of saying stereotype. Google defines it as, “the view that categories of people, such as women and men, or heterosexuals and homosexuals, or members of ethnic groups, have intrinsically different and characteristic natures or dispositions. Also see: “Essentialism,” Wikipedia, the Free Encyclopedia, August 24, 2014, http://en.wikipedia.org/w/index.php?title=Essentialism&oldid=617619320. Guillermo Delgado and John Brown Childs, eds., Indigeneity: Collected Essays (New Pacific Press, 2012). “Meta-, Prefix,” OED Online (Oxford University Press), accessed August 19, 2014, http://www.oed.com. Here, I am thinking of the accomplished Native American author, Sherman Alexie, who, at the very least, is a professed skeptic—if not an outright atheist. So, does his non-belief trump his indigeneity? I think not. David Roach and Andrea Eagan, “The Equivocal Definition of Indigeneity and Ambivalent Government Policy toward Self-Determination in New Zealand’s Health and Foreign Policy Apparatus,” Junctures: The Journal for Thematic Dialogue, no. 11 (January 3, 2011), http://junctures.org/junctures/index.php/junctures/article/view/33. Jack D. Forbes, “The Mestizo Concept: A Product of European Imperialsm,” in Aztecas Del Norte: The Chicanos of Aztlan (Greenwich, Conn.: Fawcett Publications, 1973), 178–205. Hope this response is not too late. I’m not the main admin on the site and your message never got reviewed for posting. I’m a also an academic. I recently received my PhD in history, and parts of this article are in my intro. Unfortunately, I placed a 5 year embargo on my dissertation to allow time for me to convert and publish it into a book. However, feel free to cite this blog-post, and if you have any other questions or comments, you can reach out to me on twitter. Thanks for your interest. Understanding the affinity of people to their ancestral places where their culture was developed, is a valid anthropological impulse. The 17 sustainable development goals for 2030 will have to concentrate on getting the validity of each group’s claims and identity with their ancestral homelands – to become a matter of collaboration and solidarity building between those who have claims to the same territories. i also believe the ramifications have something to do with supplanting an existing native culture with what i would call and invasive species, such as the colonization of the americas by europeans who were once in their own right indigenous to europe..